We asked for an Eminem return and we got it when the artist released a surprise album at the end of last month. Kamikaze has been generally well-received as it’s viewed to be a return to form for the skilled emcee. While the project is not far in our memories, another work has caught the attention of the world as the beef between Shady and Machine Gun Kelly has absorbed so many. “Killshot” is Em’s response to MGK and the scathing diss track was recently uploaded to streaming services to maximize its reach. It appears that the demand was there since, as expected, it was given a high debut on the Billboard Hot 100. “Killshot” is quickly becoming one of the most commercially successful diss records of all time, even with all the criticism Eminem has been facing because of it. Kellz heard the song and rated it a 6 out of 10, deciding not to respond. The track has officially debuted at #3 on the Billboard Hot 100, beating “Rap Devil’s” at #13. 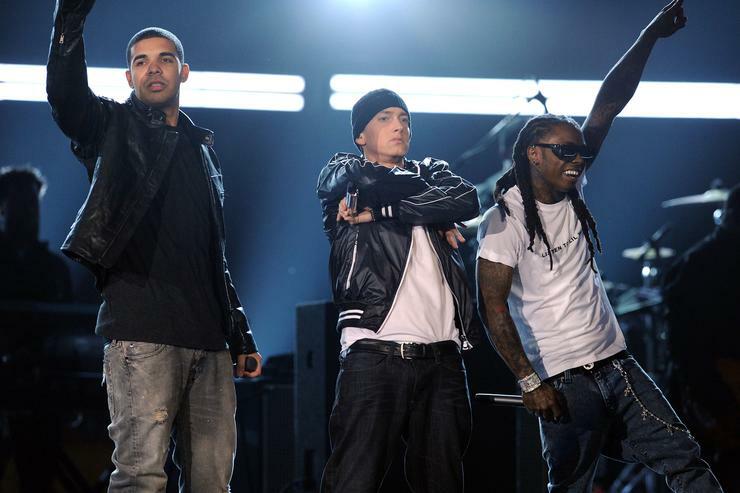 The song has even helped Em reach new territory, officially tying Lil Wayneas the two rappers with the third highest number of top 10 entries to the Hot 100. Both stars now have 20 records each that have charted in the top 10. Em received even more good news today as his “Lucky You” record with Joyner Lucas is now eligible for gold certification. Congratulations to Slim for the continued chart success! Billboard Hot 100: #3(new) Killshot, @Eminem.